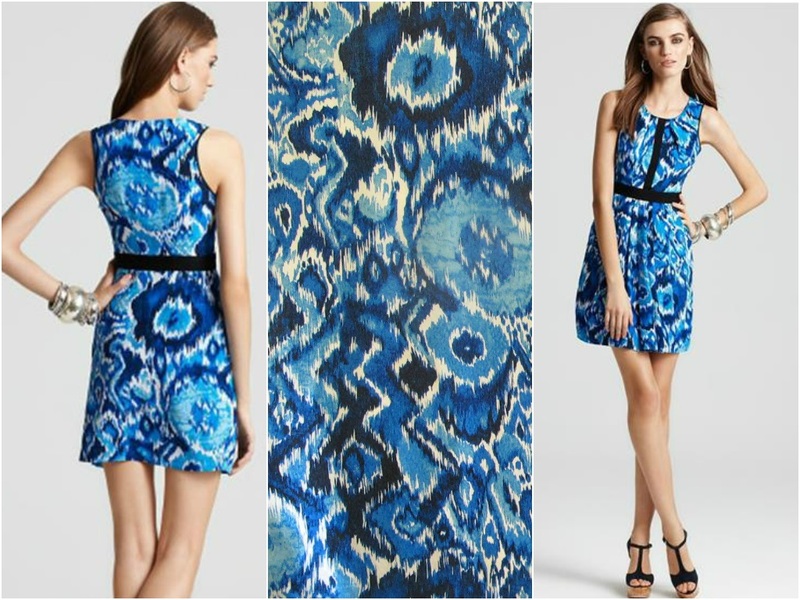 I’ve called this an ikat print because I thought it had some of the ikat features, but maybe it is actually more like a tie-dye effect? Either way, it is a contemporary fabric from the New York design studio of Cynthia Steffe, who made the most adorable dresses in this fabric. I bought this piece of fabric in the garment district from a deceptively unassuming store on 39th street. 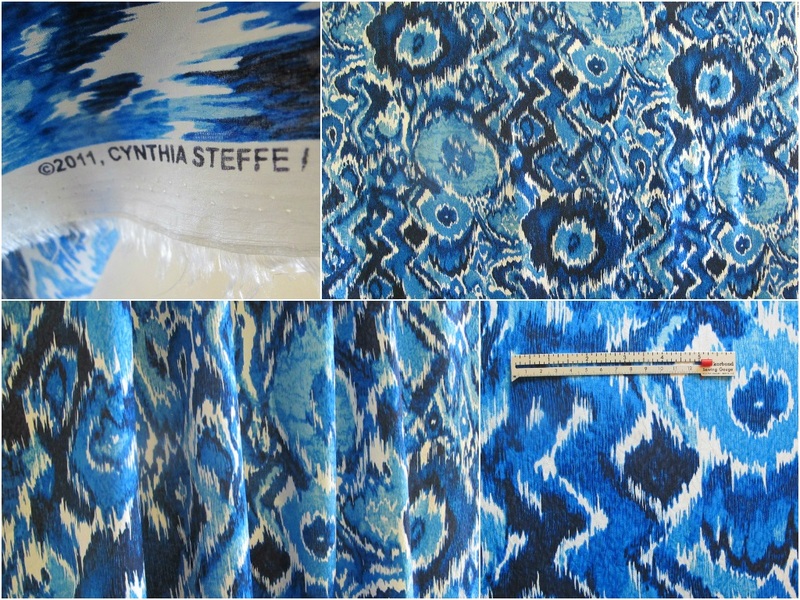 It was one of those fabrics that instantly caught your eye from a distance and then reeled you in. I could just tell it was a designer fabric even from a distance! This is a light to medium weight silk and the surface has something of a crushed silk finish. 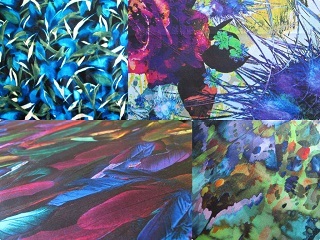 The blue shades used in the fabric are magnificent; deep, dark blue, azure, turquoise, balanced out with a soft white. The colours and design all work in so well with each other. This is just a perfect Australian summer palette.